TOM MOONEY hit a century as Portslade Cricket Club made it back-to-back league wins in Division 3. Mooney finished his side’s innings unbeaten on 101 from 135 balls, which included 11 fours and five sixes. He and captain Paul Glover (95) shared a second-wicket stand of 135 as Portslade posted an imposing 267 for four from 47.3 overs. Haywards Heath never looked like getting to their target and were all out for 156, which was a massive 111 runs shy of Portslade. This win followed up last week’s emphatic 50-run success at Goring and was the fourth of the season for Portslade. That means Portslade remain fourth in the standings and will now be hoping to kick on as the season enters the second half. After being put in, Portslade got off to the worst possible start losing Danny Hansen for one, to leave them 5-1. However, the innings turned around when Glover was joined by Mooney. The pair shared a terrific stand to give their side the perfect platform. Glover eventually fell for 95 but after he went, Dan Holgate crashed a quickfire 24 as Portslade began to turn the screw. Tom Robins then hit 16 from 15 balls to help his side reach 267 for four. Mooney remained at the end undefeated and gave his team a great chance to record a second straight win. In what was a difficult day in the field for Heath, Matt Jones came away with two wickets. Haywards Heath made a magnificent start to their innings with openers Jonny Phelps and Jones sharing a 55-run partnership. Phelps made 42 off 36 to give his side some hope of an unlikely win. However, after he became the first man to fall, Heath’s chances quickly began to diminish. They lost two wickets for as many runs, leaving them 57 for two. 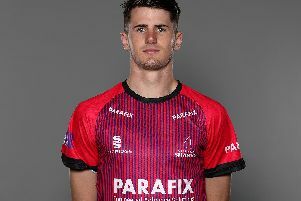 Callum Smith added 30 for his side and James Austin made 18 but those were the only meaningful contributions as Heath were all out for 156 in response. Thomas Stewart-Green was another Portslade performer who had a fine day. He ended with a five-wicket haul, taking 5-30 in 8.1 overs. Matt Gravett took three wickets and Steven Case came away with just the one. Portslade host Rottingdean on Saturday as they look for a third straight win.